Well not exactly ten years after – the last time i visited the Sonar Festival in Barcelona has been in 2000 and i really enjoyed it. The atmosphere has been great with a lot of interesting and sometimes quite experimental outfits playing live at Sonar by Day, hosted in the cozy area of the Museum of Modern Art and the more dance-ish bands playing the Sonar by Night at an open air location that could be accessed via the Sonar Bus, with ehrm interesting intervals, so to say. But of course, a lot changes in 11 years. The yearly changing theme and motto of the accompanying art exhibition of the festival has been “Sonar Is For Sale“, reflecting the economical crisis spain faces at the moment with an unemployment rate of 21% total and up to over 50% when it comes to freshly graduated citizens, especially in barcelona. Both figures are at a constant rise. When talking to some locals it immediately becomes clear what they’re up to when visiting the festival: escapism. Dressing up, drinking, dancing, doing drugs. So what’s the difference to any other festival you may ask? Well, the Sonar HAS been different – it changed from a highly dedicated place for people looking for new ways of expressing contents through music to just another festival with a booking policy that seems to work at random, with only some ruins of the original intents laying around. But no only the line up had something of a feverish, hastily sketch – also the whole set up seemed to be flawed from the very start. And i’m not talking about queueing for beer and toilets. Ok, there’s a lot of people. Much more than 11 years ago. That’s ok. It’s a festival that’s been going successfully for 18 years, so what do you expect? 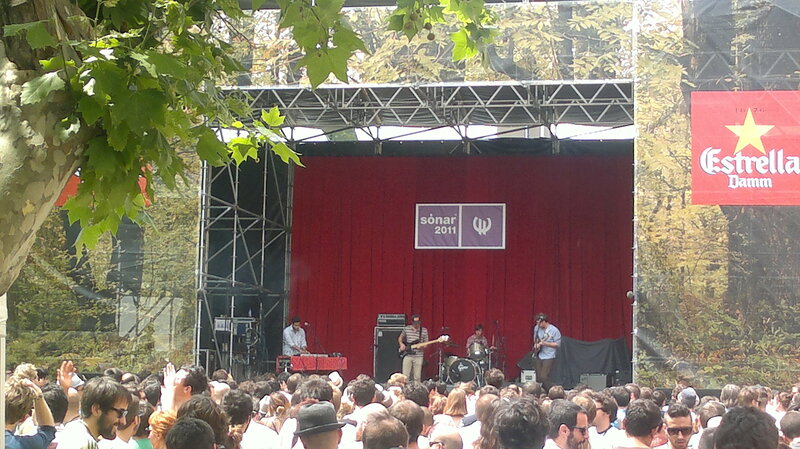 Toro Y Moi just entered the main stage and it’s very loud. Don’t get me wrong, i absolutely love loudness. But with the subtle chillwave funkrock of Toro Y Moi, turning the volume to total devastation kills about 50% of the music’s magic itself and what’s left then? Right, a sludgy rock-mud with no appeal really. 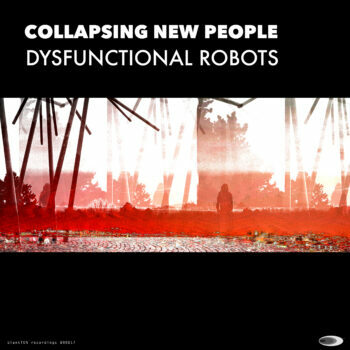 Muttering to myself that the engineers are probably more used to electronic music (“turn the bass up, MF!”) i head to what became one of the highlights, looking back – DJ Poirier feat. Boogat – a highly energetic hybrid of reaggeton, miami bass, soca and hip hop with dubby elements and a superior spanish MC – great! 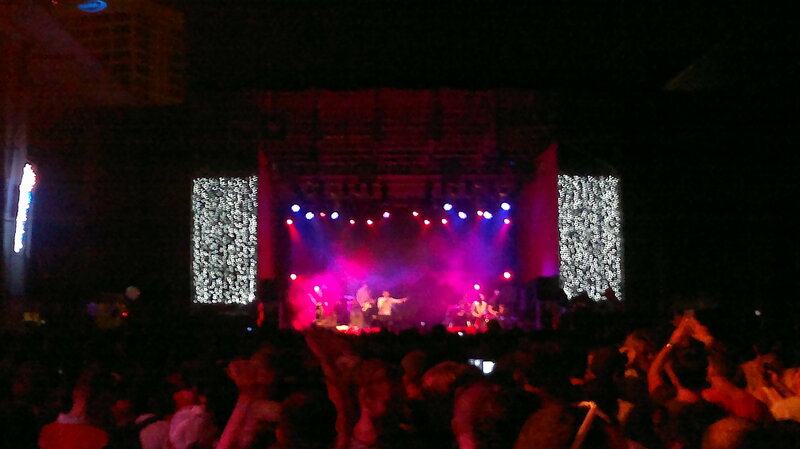 Next up is Floating Points from the UK – a DJ set i have absolutely no memory of. Maybe you can find an explanation for yourself. But now Little Dragonfrom Sweden enters stage and starts with a funky beat. And the funky beat stays on. And on. Suddenly the (very pretty, actually) lady with the microphone becomes aware of why she came here and meows a little. Before i doze off, it’s back to the Sonar Dome for The Brandt Brauer Frick Ensemble. Well, the name of the band does not include sarcasm, as i wrongly assumed. What one may call freestyle electronic jazz just makes me flee for another beer. The Willy Brandt Ensemble (haha) plays and nobody really seems to notice, but anyway Dels is on now and queueing up for Nicolaus Jaar is out of the question – hours before his set, hundreds of people try to gain entry to the Sonar Hall. Dels on the other hand doesn’t seem to attract many listeners with his bone-dry minimalistic saul williams-on-a-bad-day-hiphop. So after two songs it’s off for us and hunger wins, so we intend to leave to grab some food. Later on we are a bit confused. It’s no Sonar by Night on this day, ok. But instead, the opening concert with a performance of Steve Reich pieces take place. But to our amazement the festival pass will not grant entry. Hm, now what would that mean, actually? I guessed that it meant, you would have to pay extra, the GF means that it would only refer to the limited capacity of the venue. After some arguing we decide to stay away and focus on delicious catalan cusine. Whohoo, Discodeine will play today! I’m pretty much looking forward to it and skip most of the rest, being a little bit disappointed about the sound systems and the line up, although Katy B sounds quite interesting. Also Four Tet should always be something worth listening and The Sewing Machine Orchestra would have been something that intrigued me due to its concept. 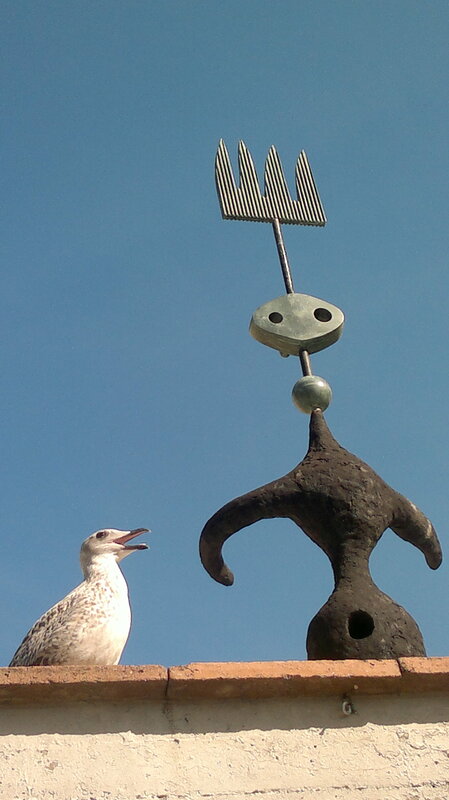 Anyway, the Joan Miro Foundation also offers some interesting art, so we are back at the MACBA around 7 pm. Whew, the place IS packed. But finding a place to sit at Sonar Dome is doable, as most people seem a bit ehrrm too doped up to sit, swaying and laughing constantly. I wonder if it has to do with those nice guys offering me coke and pills everywhere i go?! Anyway, Discodeine starts. And starts. And Starts. The whole gig doesn’t get in real motion, can’t gather momentum and seems like the two guys are lost within their loops, a quite awkward and somewhat autistic experience. Bummer! But there’s still a lot to see and – surprise, surprise – the funky techhouse of DJ Nacho Marco saves the day. Nothing special, but just plain good and after a lot of limping performances from supposed to be must-sees it’s a refreshing and consoling experience. Missed Ghost Poet. Bummer again. 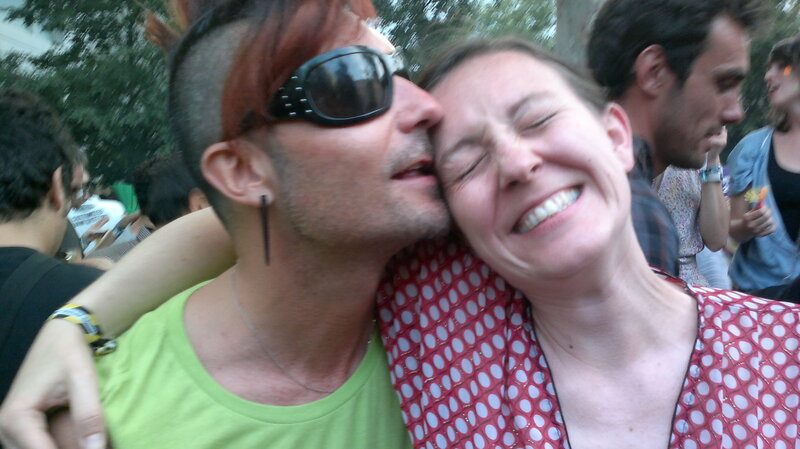 One of the best things of Sonar by Night is that they fixed the problem with the busses. Now almost every five minutes a bus goes to and fro – from the trade fair halls to the city center within 10 minutes. Nice one. But what’s going on here?! No more one center stage for the biggies surrounded by little open air stages for the new or just smaller names – instead an enormous area with three stages in closed halls and only one in the open. And here’s where the festival really picks up speed – thousands of people shoving themselves into the area looking like lambs waling to the slaughter voluntarily. Pardon my harsh connotations. Walking into Sonar Club with The Human League playing my ears feel like falling off immediately. I think my head will explode right now. Shrieking noises, warped and blurred, shredded fragments of sound flying freely and only distantly recognizable as the pop music it’s supposed to be. Slightly appalled from this accidental industrial music we wander off to Cut Copy, who are playing the open stage. And still, it sounds like it’s played through a giant, cheap mobile phone. Plain scary. In the next hall, the crowd thins out a bit and Annie from Norway does her best with her DJ-set, although the music has to be guessed more than it can be heard. So it’s up to the next stage where Trentemoller is playing. 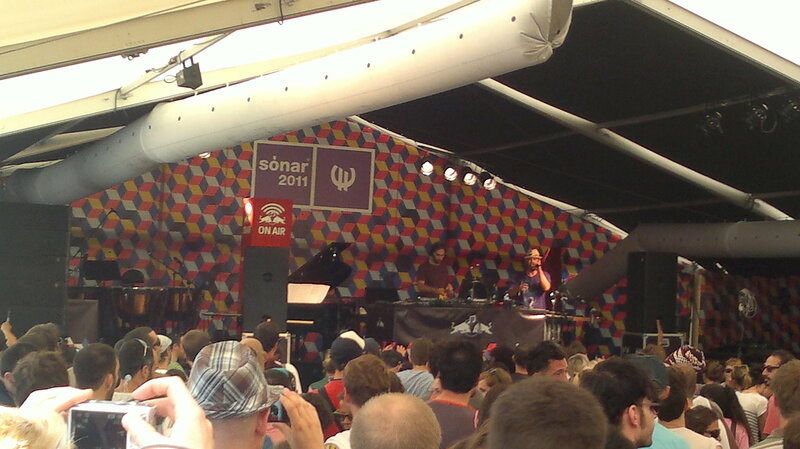 Seeing his live act just a few months ago, i still have a vivid memory of his great live set up. But entering the hall is almost impossible, the place is packed to the roof and to no surprise it’s that weird soundmud again. So after only half an hour or so we call it a day and miss out on Aphex Twin, M.I.A. and a lot more. But i rather wait some months to see all of them at different location – or maybe never – than get slaughtered by inferior sound and nice, but completely bollocksed masses. First signs of fatigue show up in our party morale. Too much disappointment so far, but we won’t give up so easily. So it’s back to the MACBA again which now looks like it has been carpet-bombed, although the swift cleaning forces of the museum work the place real hard. Trying to enter the Sonar Dome area we realise it’s definitely recommended to wear proper shoes or otherwise your footwear will melt into the sticky mix of alcohol, vomit and whatever that covers the ground in a thick layer. But the place anyway can’t really be entered anymore and Electric Wire Hustle play a strange and dated rock-set that seems utterly misplaced. 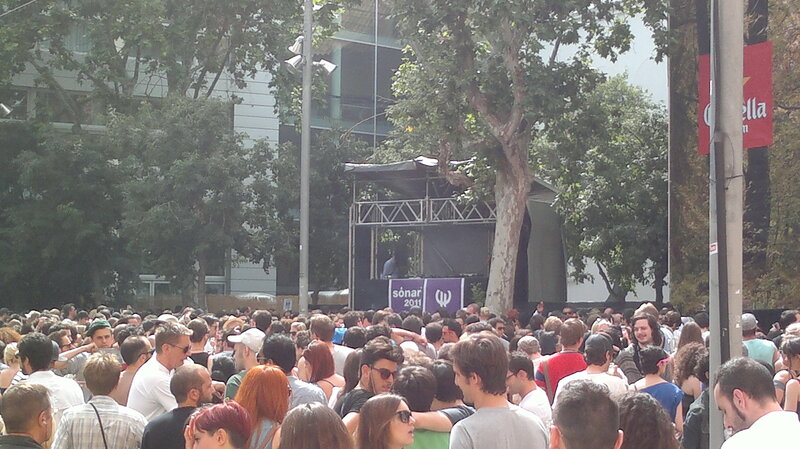 So it’s Gilles Peterson then. 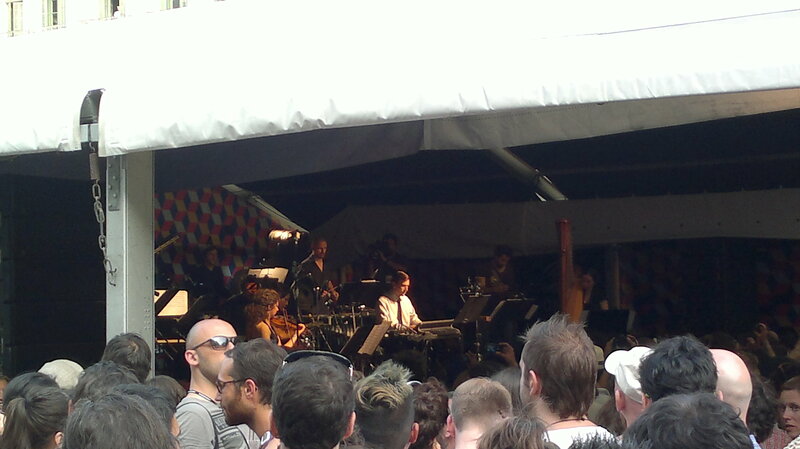 And the monsignore of groove offers what he does weekly: a nice groove-based set, mixing soul, funk and electronic stuff. What’s slightly odd is that he treats his set like one of his radio shows – midtempo groovers take turns with speedy techhouse and motownish soul without any arc of tension throughout the whole set. Good music though, but the dancers are confused and try to give it their best shot. Next Artist Yelawolf reminds strongly of Dels from day one and like us, many people flee to the Sonar Dome again as lining up for the Apparat Band in the Sonar Hall is again out of the question, due to the waiting masses. Tiger & Woodsseem to be good. I think, but i can’t really say. No, i’ve not bought stuff off from the friendly guys, it’s just that the area is so packed now that we’re busy with evasive actions although i’m completey soaked by third-party-drinks anyway now. The sheer noise of the crowd is so overwhelming, the music just fused with the overall sound of the place. 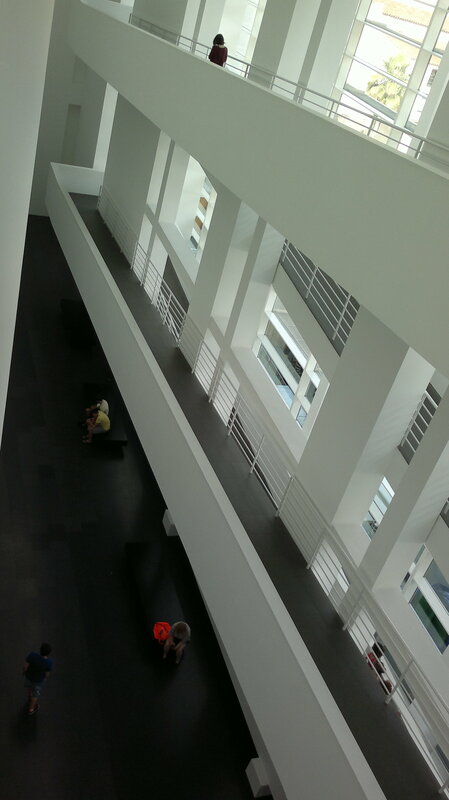 The MACBA finally has become way too small for the large number of people attending the festival. At the Main Stage, the final act of this years Sonar By Day starts to play – Filewile from Switzerland manage to impress in the beginning but manage to bore the crowd to hell as their set proceeds. An ambivalent ending to an ambivalent day. No NO NO i don’t want to go there again! Missed Underworld, Shackleton, James Holden and Surgeon. Whatever. Flying back home on sunday i have mixed emotions. Sure it’s a festival like thousand others around the world. But maybe that’s exactly the point. Because it hasn’t been like that in 2000 – and back then it has already been big. But different. It’s been a place to discover new music while having three relaxed days in the beautiful city of Barcelona. But now it has somehow industrialized itself and lost a lot of its edge. 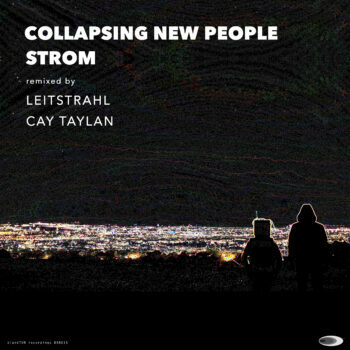 Maybe it’s also a thing of different tastes – i just couldn’t bring myself to enjoy most of the music and the more IDM-ish line up ten years ago has been more to my liking. Also the ultra-packed areas with literally thousands of people are something i can stand for maybe an evening – but surely not for three full days. And as a last, small indicator of a point i’d like to make: I like Estrella Damm, the official festival beer. But having in mind that Estrella Damm paid a rumored 6-figure-sum in Euro just to be there and of course gave away all the beer for free to the festival, you still have to pay 3 Euros for a half-pint. Sure, you shouldn’t judge a festival by its beer pricing policy, but it just acts as an indicator of what it’s all about. 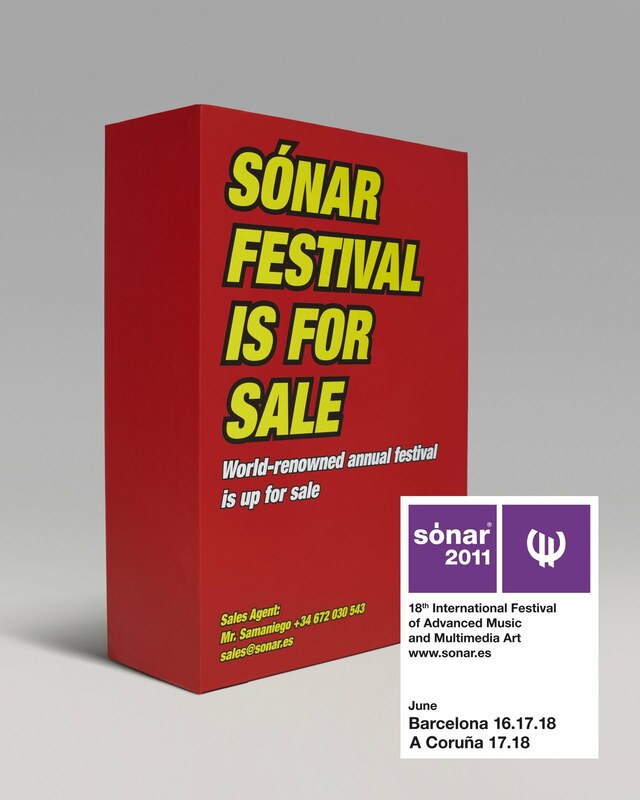 Sonar, as this year’s motto indicates, is for sale – literally. But not for the sake of it, be it greed or related motives, the economical crisis hits hard. And that is for sure the main reason for the people of Barcelona partying as hard as they can – maybe it’s their last Euros they’re spending here, their future is definitely uncertain. Thanks to Eva Koren for interviews on location, vital inputs and perfect company.